Keeping this version here if anyone wants to use this older version, for whatever reason. Been working on this since... well, since Smash 3DS was released to the wild, I'd have finished by now if my motivation wasn't below zero. That's why I thought it to be a terrible idea to not post up a beta of what (little) has been done so far. So far, her changes are about identical to the changes she has compared to Marth in Sm4sh, i'll post up the full version after I fix the animations. I'm planning two main versions for this, a 'Brawl' version, where her only changes are the difference between Marth and herself, and a 'Smash 4' version, where she also gets the changes Marth got from Brawl to Smash 4, decloning her further from Brawl's Marth. Animation fixes, mostly in her own unique animations. 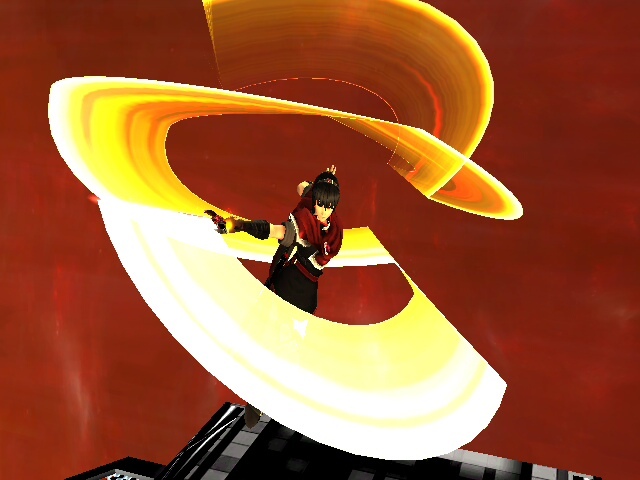 A few hitbox changes, namely in her Dancing Blade attacks to average the damage values properly. SFX volumes are now a bit easier to hear. Been working on this since... well, since Smash 3DS was released to the wild. I'm planning two main versions for this, a 'Brawl' version (The one you're looking at currently! 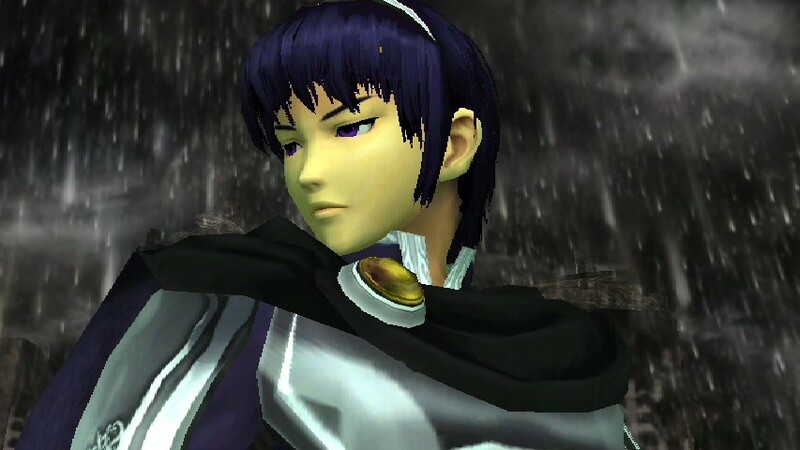 ), where her only changes are the difference between Marth and herself, and a 'Smash 4' version, where she also gets the changes Marth got from Brawl to Smash 4, decloning her further from Brawl's Marth. 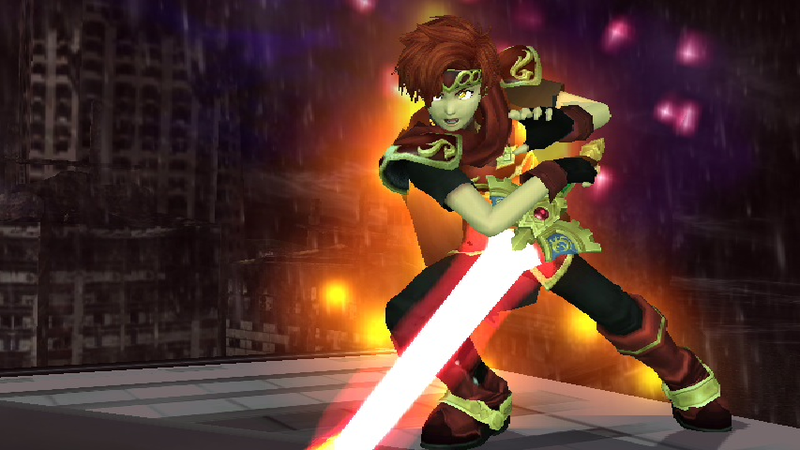 The Beta of the Smash 4 version will probably be up soon. 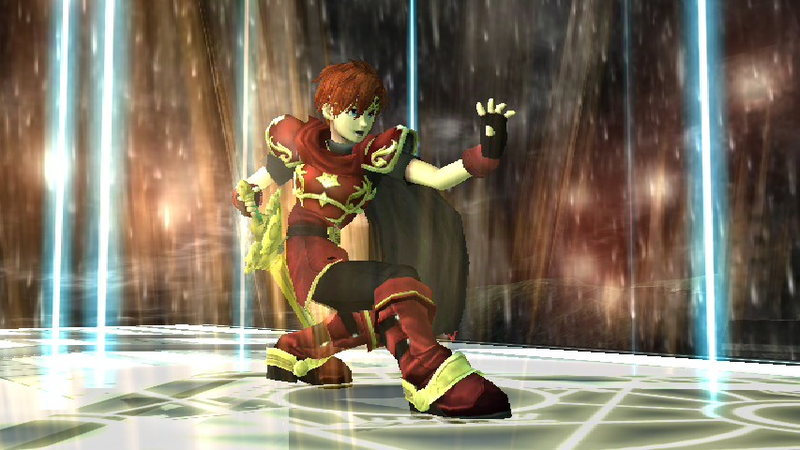 'Brawl' Roy PSA v1.3a by Lillith, Nao-chan with credit to Thany for her amazing Roy-- she's likely the entire reason Roy was in PM the way he is. 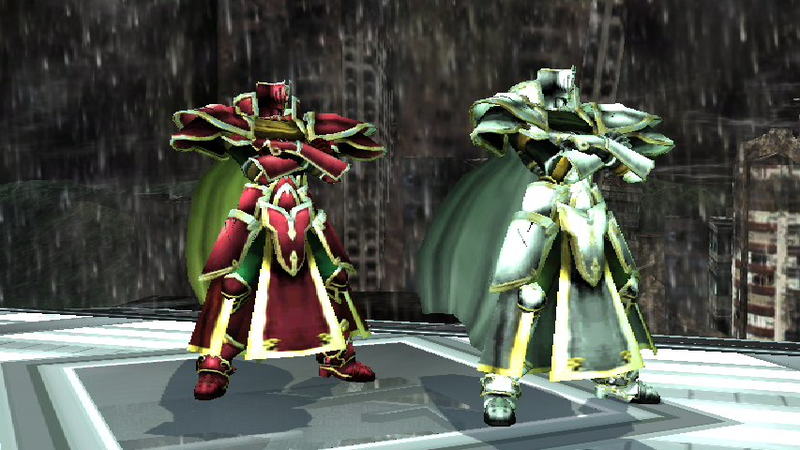 ...oh um, i borrowed her victory things and down taunt. Project M Team for Soundbank basis. KingJigglypuff for... reasons, SJS for scabbard. 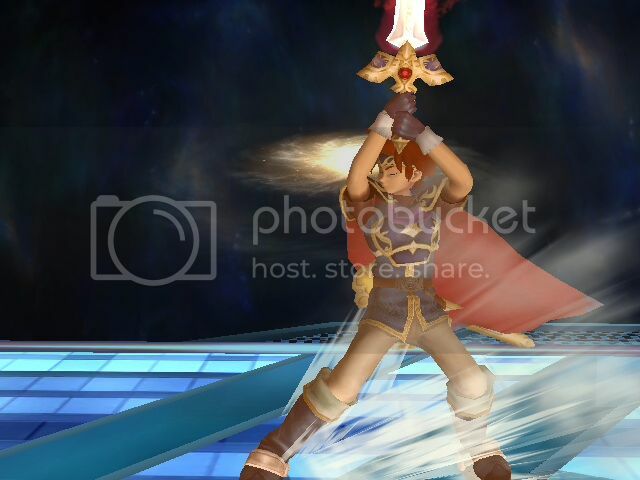 Small bugfix for those who do not use BrawlEx/IC codes, Roy no longer T-Stances upon a consecutive jab. Throws changed up in terms of trajectories, knockback and damage. 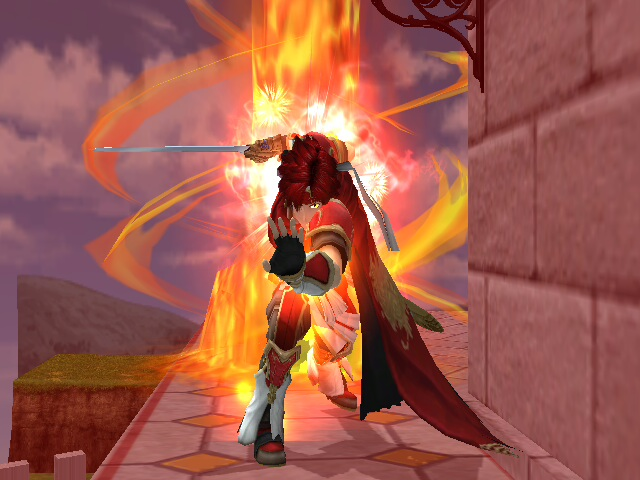 Visible scabbard during final smash and result screen stuff. ...Separated SFX version now has sound effects, oops. 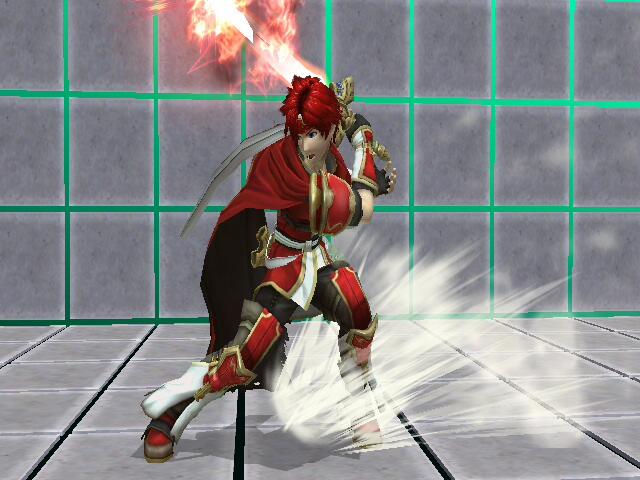 A few random animation updates, like Roy clenching his fist during his Up Aerial, spot dodge transitioning from shield properly, and dash animation being extended. 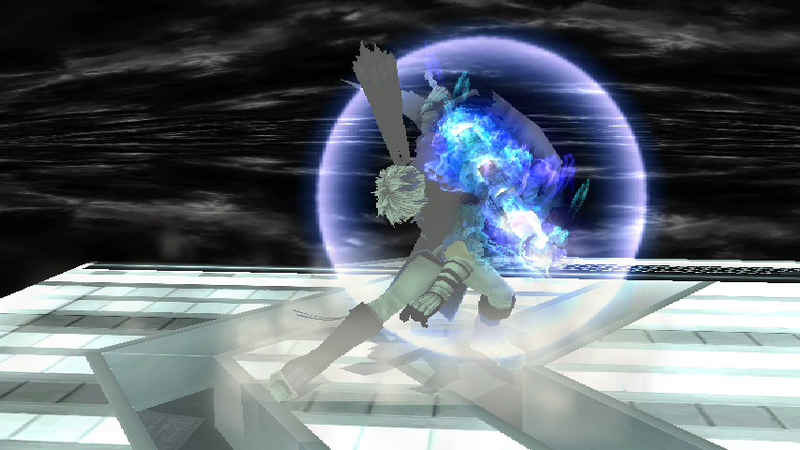 Up tilt has a new early hitbox that can actually hit things in front of him. 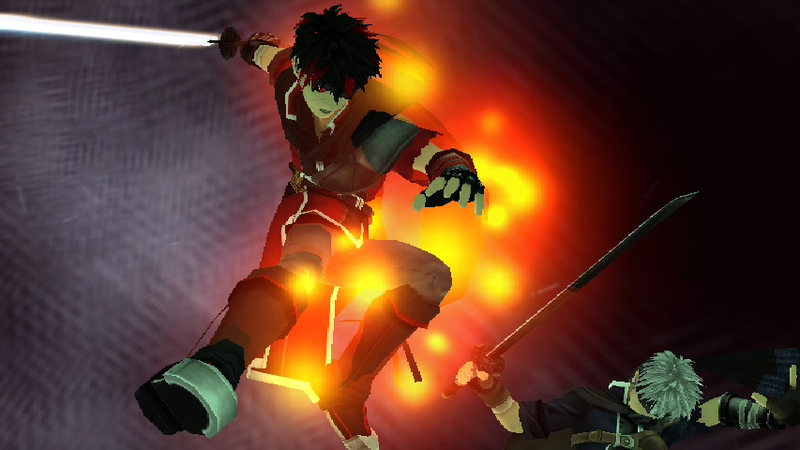 Final Smash animation jerkiness removed, aerial version's animation prettied up somewhat. 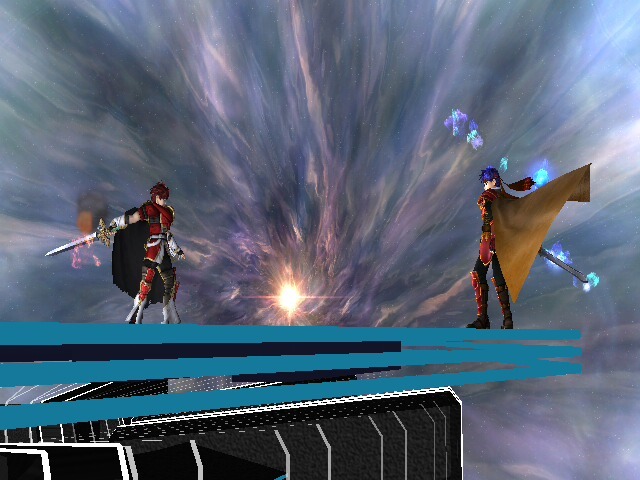 Final Smash now has time manipulation. A number of animation cleanups (Such as proper hand movements, getting rid of jerkiness during slowdown). ...Other random stuff I may have forgotten. 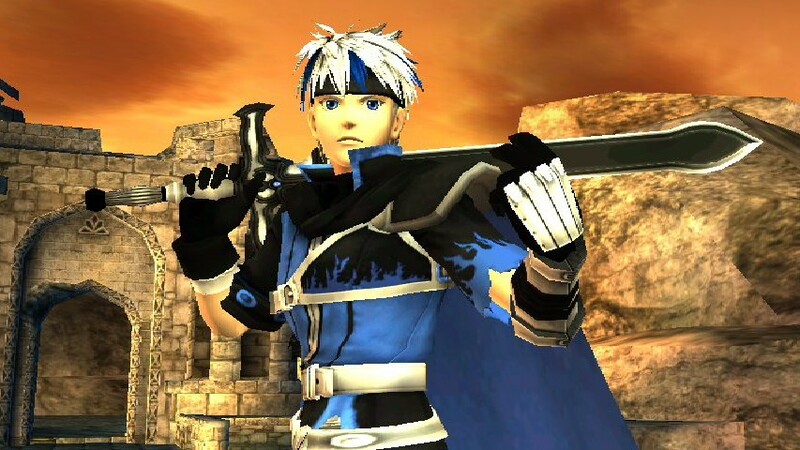 Well, uhm... this is kinda what I think Roy may've been like, were he in Brawl, I used his Melee and Sm4sh appearances as reference points of course, as well as a look at some of the other characters transitions to Brawl from Melee. 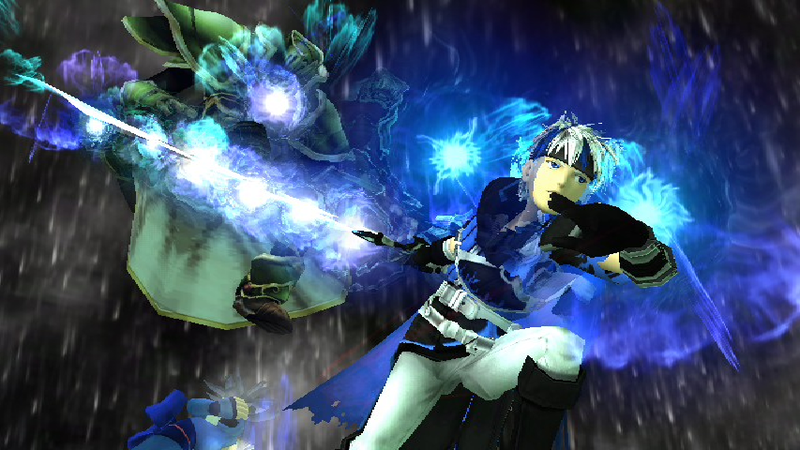 Like Smash 4 Lucina, he has two variations, one with SFX separated from Marth, and another that shares with Marth. If there are any glitches, please do notify me of them! 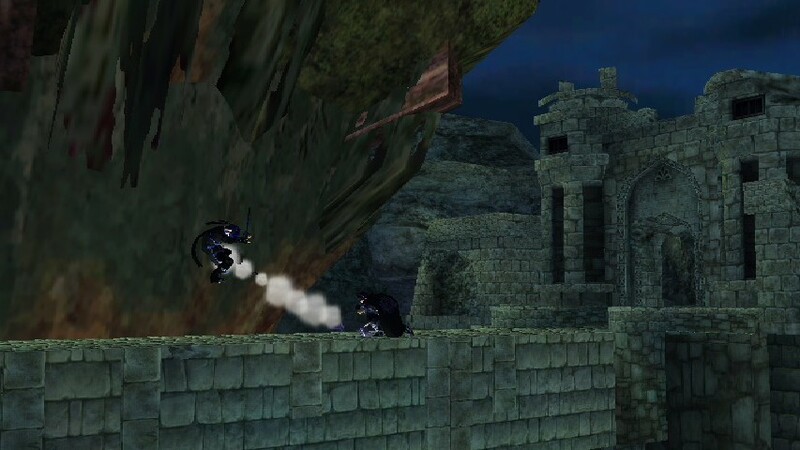 Heeey, that Smash 4 Lucina has a beta release! ...There's still a lot that needs to be sorted out, but, y'know. Things and stuff. Back with another texture/vertex hack. 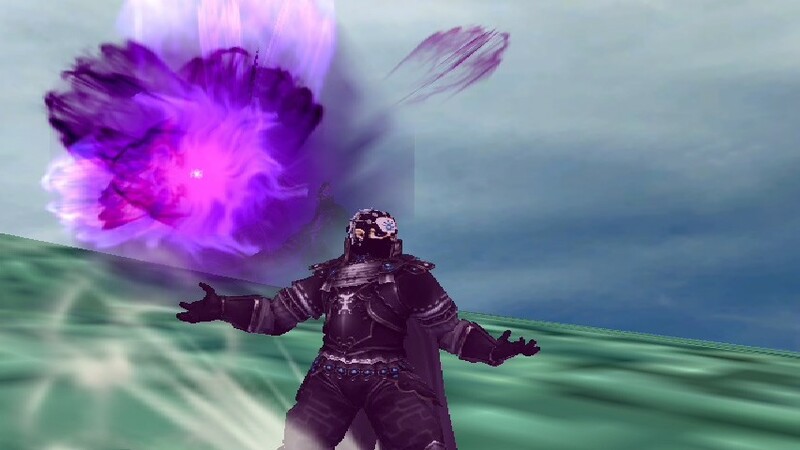 This time over Ganondorf. There's a slight modification to his collar, to make it a bit longer, and boots as well. I tried to lighten up his skin so he doesn't look like a goblin or something, also added a bit of light blue on all the jewels to mix it up a little, so... without further ado, enjoy. Edit: Added Back Sheath version thanks to SJS. 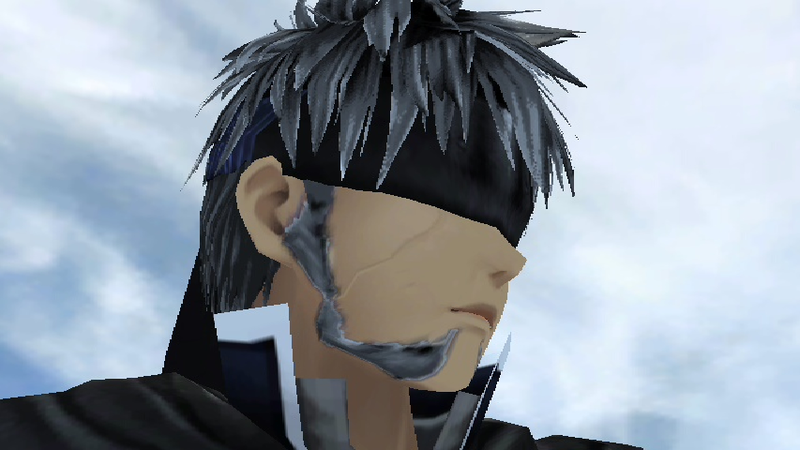 Back with a new texture for Roy this time. Just some simple edits to him, nothing major this time. Hello again Brawl Vault! 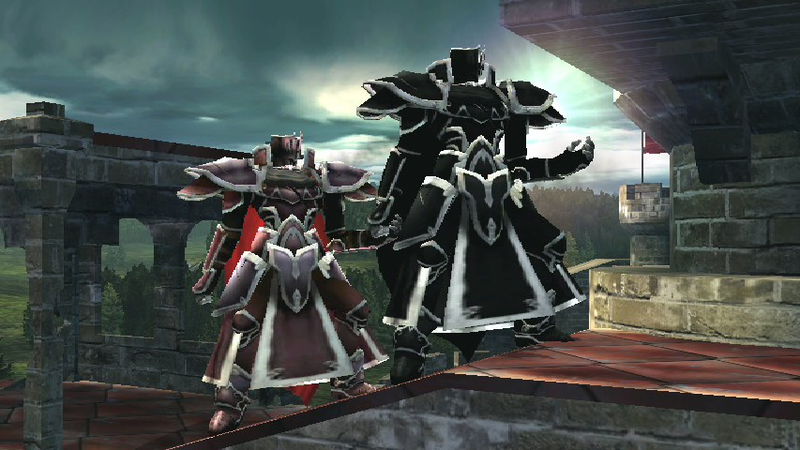 As promised, I'm back with a new set of Recolors for the Black Knight. 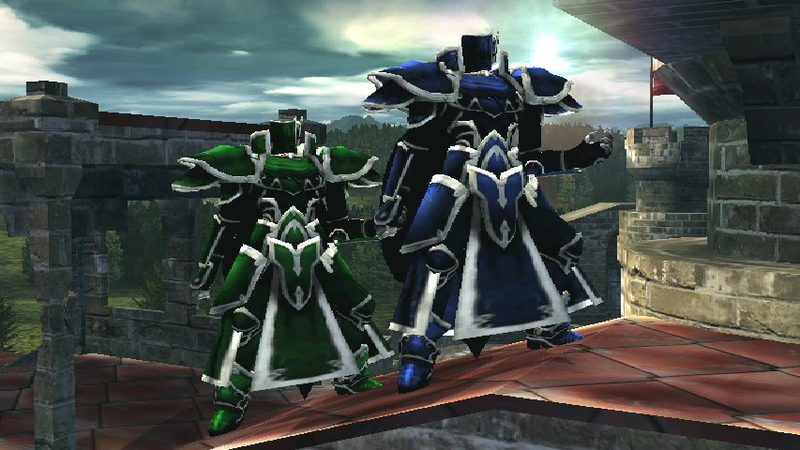 Now with colors based off of Fire Emblem Generals throughout the series. Hey all, another texture hack coming your way. 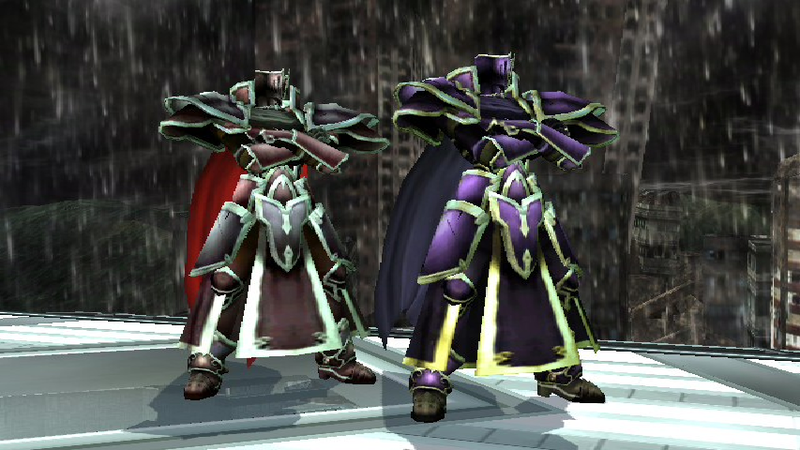 I just made some simple recolors of the Path Of Radiance Black Knight hack from Jocky. 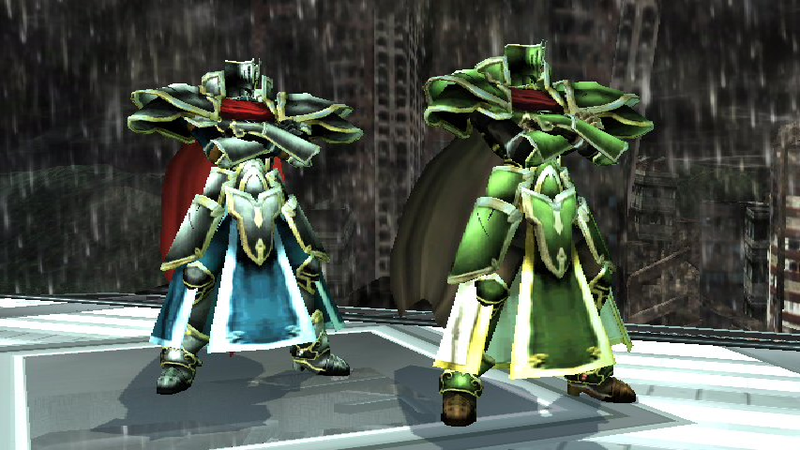 I'll do another set of recolors for specific references of FE characters later on, so look out for those soon. Edit: Updated the model. Last one had objects poking through. Hello Brawl Vault! I have a new hack here for ya. Well sort of new anyway. A few months ago I was told to take down my Blind Swordsman hack because the initial creator of the textures didn't want any updates. So I made my own textures instead! I was going for more of a rogue traveler kinda look for this. I think it turned out alright. He has a lot more intricate detail in his tunic now. You can't really see it normally but if you zoom in enough you'll see a bit of a design. It's easier to see in BrawlBox though. Comes with a CSP and BP. I decided to make Lucina have a Brawl- like moveset. Up Smash has electric effect and has a larger hitbox, Down Tilt Burries, Side Special has new effects, Dash has a darkness effect. This will be my only Brawl- PSA Edit release. The other PSAs that i made are not going to be released seperately but in my Brawl Minus Brawlex Pack which is still being made. 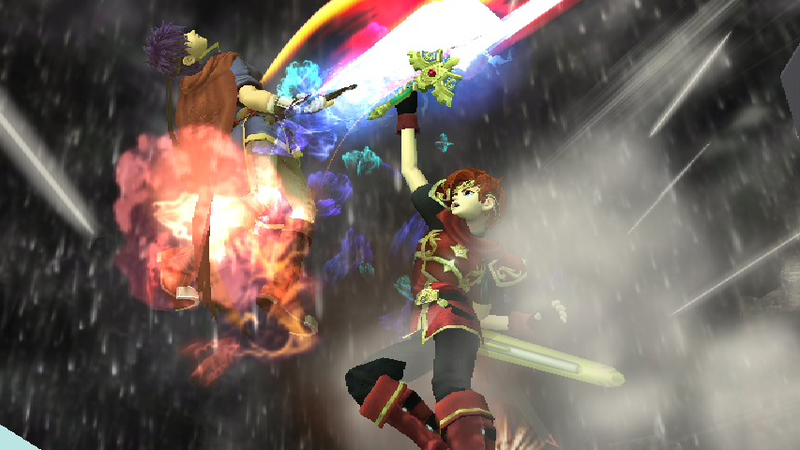 Video preview has my Lucina and Ryu Edit. Edit 3: Added a CSP and BP. Fixed the colors on the CSP and BP. 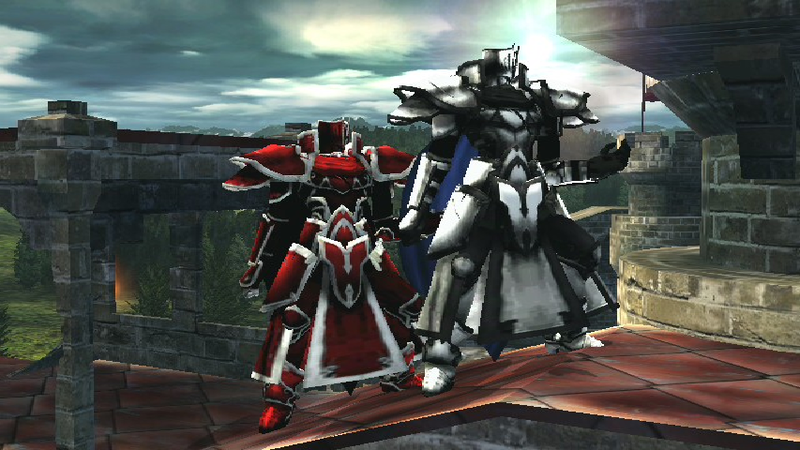 I guess I forgot the armor color was different. Whoops. Edit 2:Okay I put up a Mediafire link instead, it should be good now. Hey all. I got another texture hack here for ya. 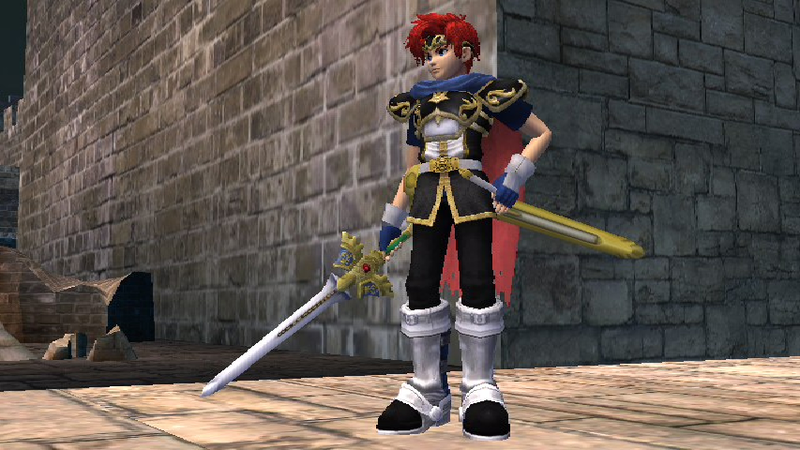 It's an updated version of Rufure's Awakening Styled Roy. 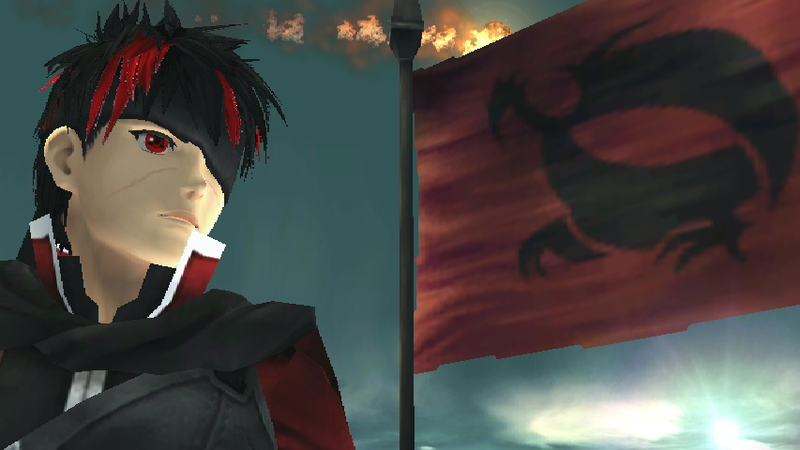 I used his textures plus the actual art to get this a little bit closer to what he actually looked like. Hope you all enjoy! HD out! Finally! I finally release a new PSA! 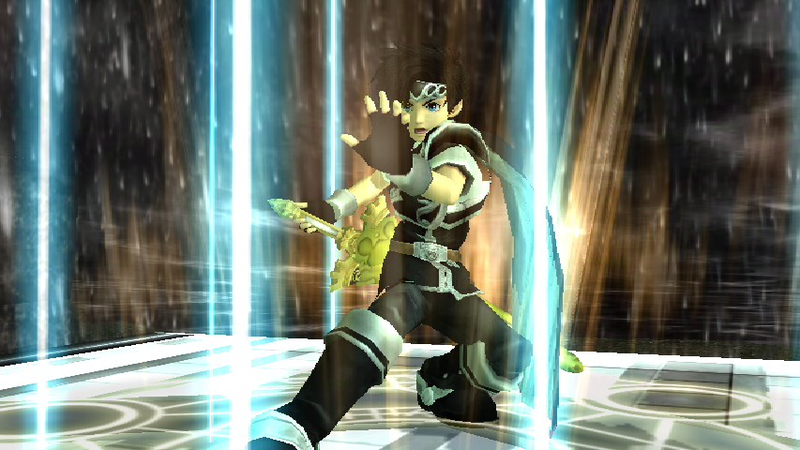 Anyway, I didn't just add some fire effects on him, he is now faster than Marth, has more power and some new moves. Check him out! Credit goes to HeavyD88, who made a great texture for him and helped me to fix the SFX and add a new GFX to the Neutral B.
Lillith for the cool video. Tel1204 for his tips on infinite sword glow. Edit 3: I added a CSP and BP for him now. Edit 2: Gave this version all the updates from the Balanced version. Have fun guys. Edit: 2/6/2014 Fixed a problem where his heavy landing was slowed down too much. 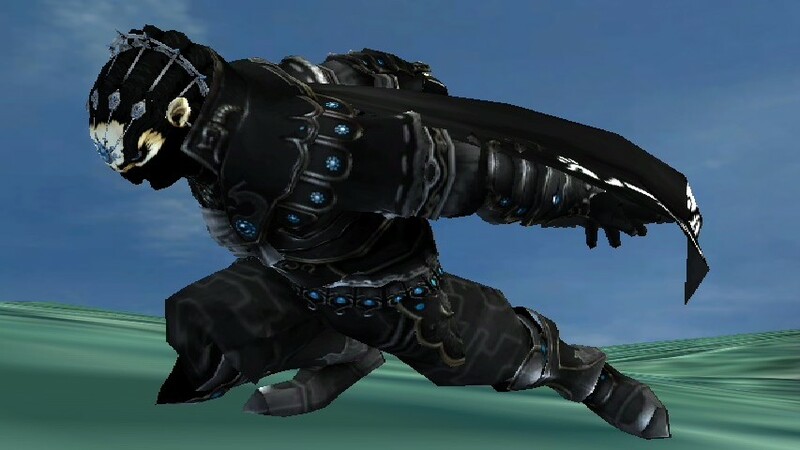 Also gave credit to Drogoth232 for his Dash Attack, and Ground Counter animations. Hey everyone, I'm back with a brand new hack! This time a PSA! This was definitely new ground for me since I don't do it too often. 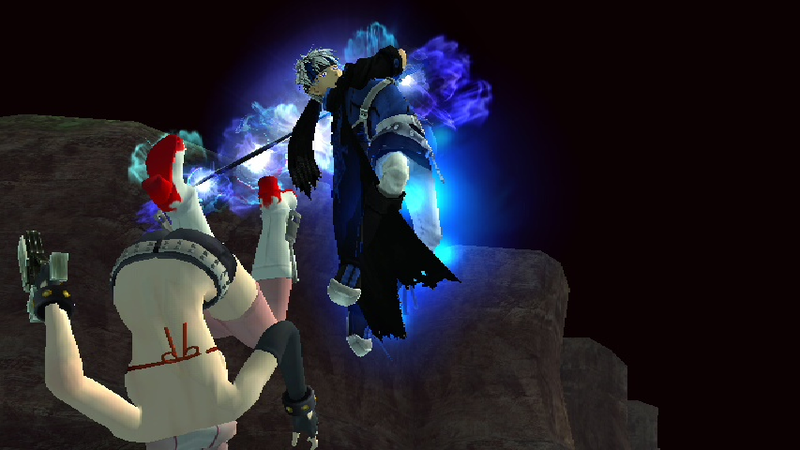 6)His up taunt heals him 25% now! Hope you all enjoy him. I worked really hard on him. 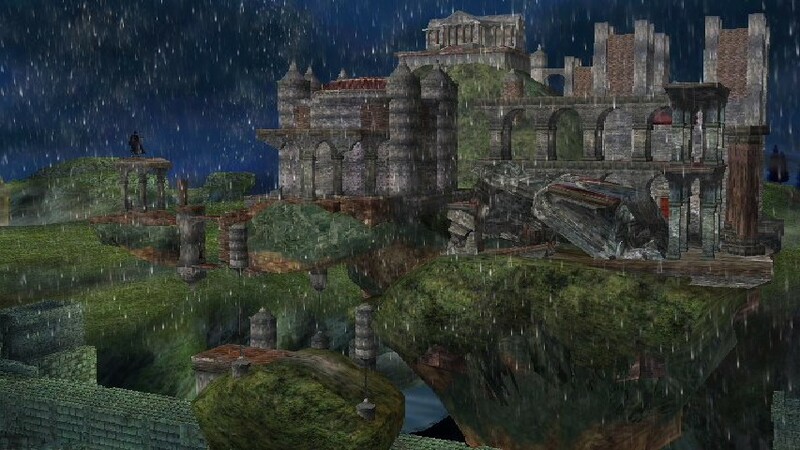 Edit 5: Man there's alot of these... Well with the PSA help of KingJigglyPuff, I got the assist trophies to work just fine now. So no more problems. I will also update this in the future with the PM 3.5 changes. So look out for that. It'll be a new upload though... as I'm going to add a few new things to it. Again... sorry for the inconvenience. Have fun. Edit 4: Okay... for the most recent report... I am sorry to say... I have no idea how to fix the issue. I've known about it for some time. But I don't know how it happened. For now... I'd just say to not play with assist trophies. I'll see if I can find some help with this issue. Just give me some time. Sorry for the inconvenience. 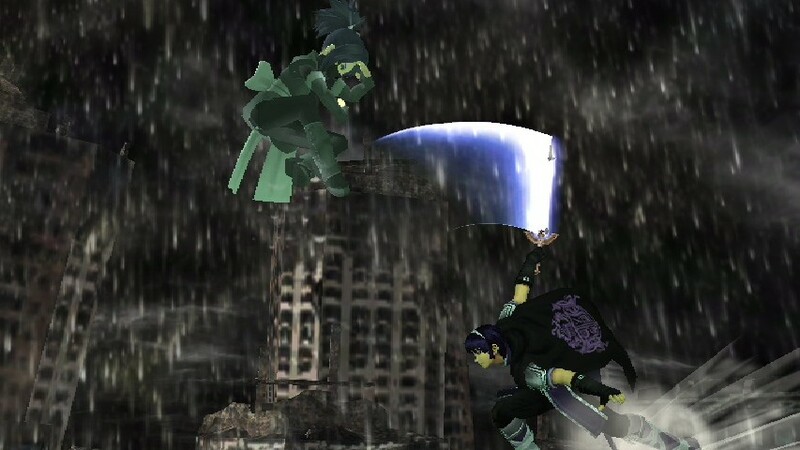 Edit 3: I turned down his aerial quickdraw speed back to it's original, so now he won't fly off stage as easily. 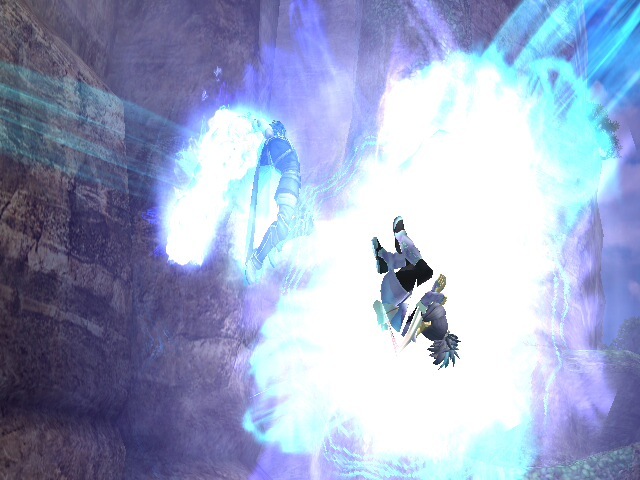 I wasn't able to replicate the other glitch myself though, with the colliding attacks freezing the game. I don't know how that could happen. I hope it's not too often that this happens. Edit 2: I added a CSP and BP for him now. Edit: Alright, just made a major update. 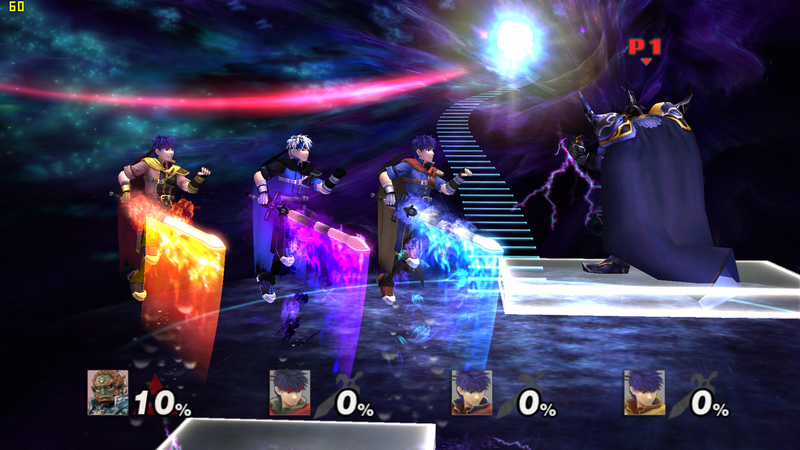 Now Ike has 2 potential movesets. His original PM one, and a stronger Blue Flame one. I'll call it "Radiant Awakening". 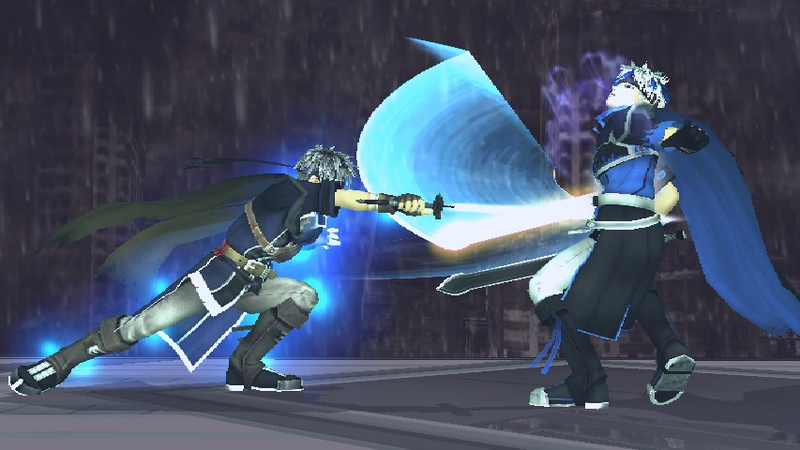 Now Ike can use his Up Taunt to strengthen all his attacks and deals some really good damage to his opponents. Excluding his Eruption move, considering it's already strong. To turn off Radiant Awakening mode just use his side or down taunts. I put a lot of work into this. Hope you all like it. 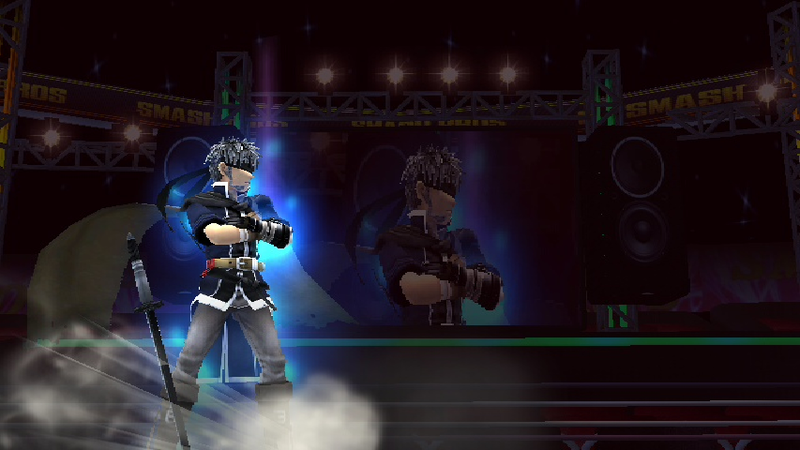 Hey Brawl Vault, since I got a few request for it, I made a balanced version of my HotBF Ike. *Finally, I added two separate FitMotions in this one. The first having him speak English during taunts, for those of you that don't have a different voice over Ike's original, and the second having him speak Japanese, for those of you who have his original Japanese voice over him, like I do. I'm pretty sure that's everything. Anyway, hope you all enjoy! Edit 2: Updated some animations with little fixes. Mainly his AppealS. Now starts and ends with the new stance he has for Wait1. Fixed it so that you don't spawn in RA Mode. Should now start off with normal Ike. Hey there! I've finally made my updated version for HotBF Ike. It's been many months since the last one, and I've held it off because of lack of interest or having other things on my plate. 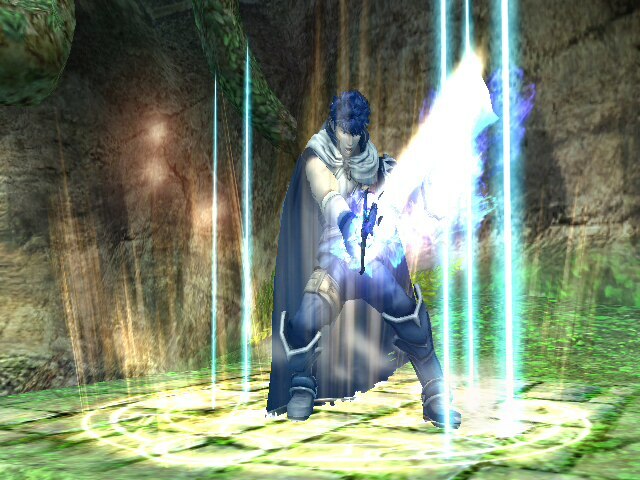 - Ike now takes damage while attacking with his sword in Radiant Awakening Mode. - He's been updated with all the additions in PM's latest and last build. It's been a long time coming but it's finally done. I hope you all enjoy. This will be my last official hack that I release. If anyone wishes to make this compatible with any other version of Brawl, be it Brawl-, vBrawl, or anything else... PM me to let me know and collab me. PM me if there are any issues. Hey Guys, Caporai here, and this is my first upload here in KC-MM Brawlvault. 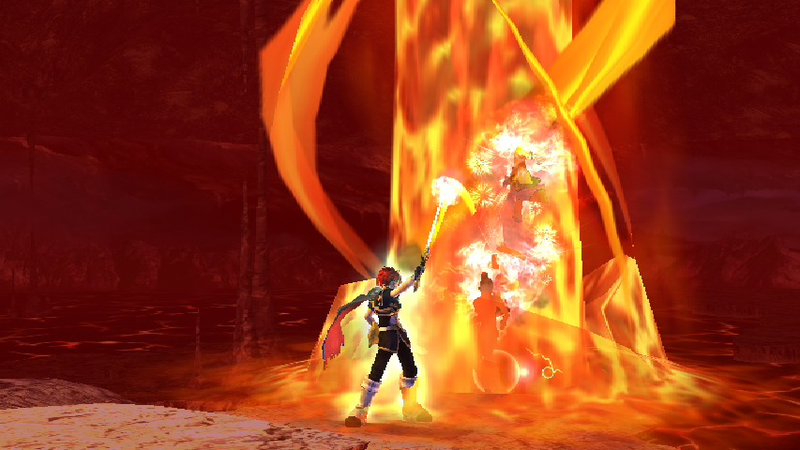 This is Endless Sword Trail for Ike on Project M, with burning effect that deals their resp. damage effect and active Ragnell Sword Glow. 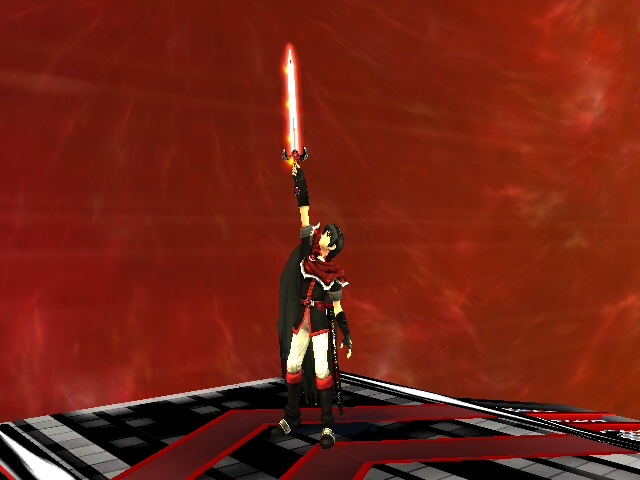 (Also comes without the glow if it looks weird on a different sword model that doesn't match with Ragnell Sword Glow). Naoto-san for animation and camera trick. 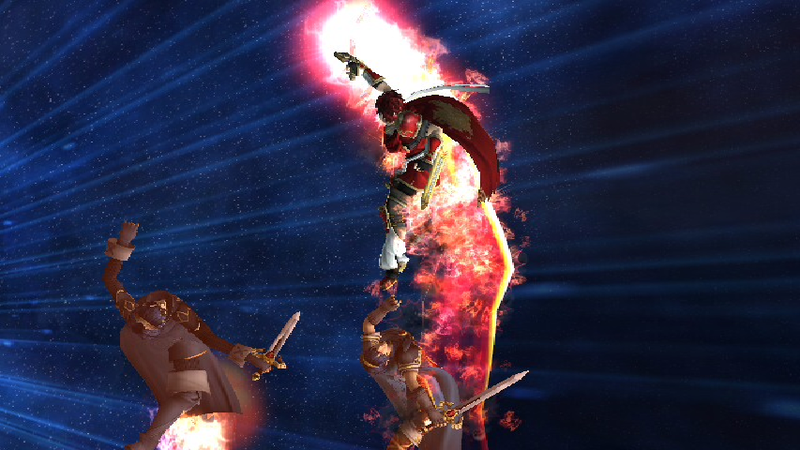 Nikeru for endless sword glow trick. Nebulon for Porting Model Tutorial. ASF1nk for the trace info (note that darkness and flame trace are used from common3.pac HammerTrace and TexCommonSwoadTrace). NOTE: For those trace that uses Normal Sword Trace (see lucario) and Hammer Trace (Kirby, Ice Climbers), will get their trace changed as well, but it doesn't hurt I guess. 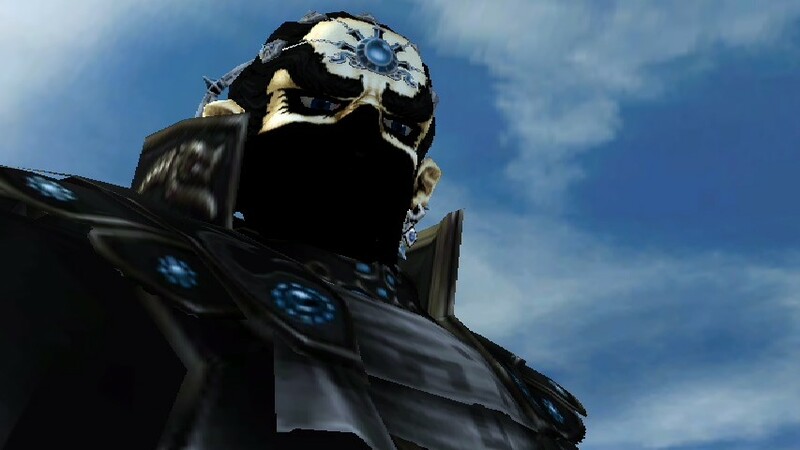 As for those who have Sword Ganon or Triforce Ganon made by Ashingda will get the dark trace as well. Lucina PSA v2 (Fire Emblem: Awakening) by SwordHandKirigiri, Albafika, JamietheAuraUser, Tulat, Thany, Vert092, Lillith, Nao-chan, Large Leader, Shun_One, Revan with credit to SJS, Dragon-FlyWolf10, Mr. Me, Cloud Strife PSA animators, and the Project M team. 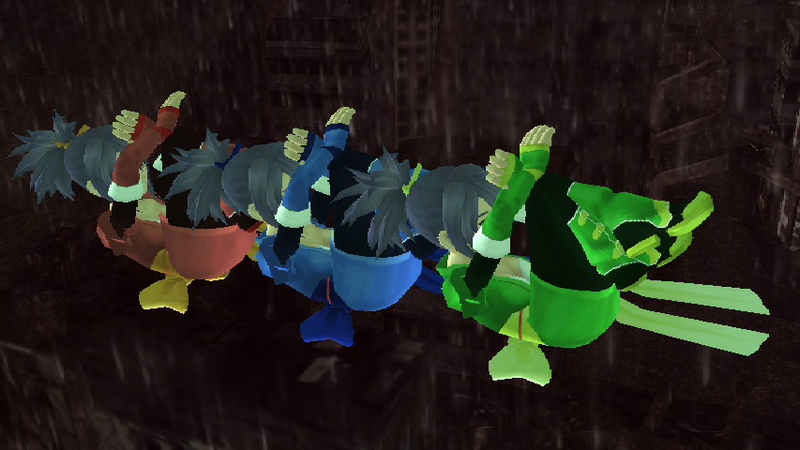 Note: The rel files do not work in Project M anymore, as far as I know. Hello there, crazyhandmasterhand here! All right, Lucina v2 is finally up! This PSA works with the newer Lucina models, as well as the very first one! This pack only comes with one of the new models to start with though. 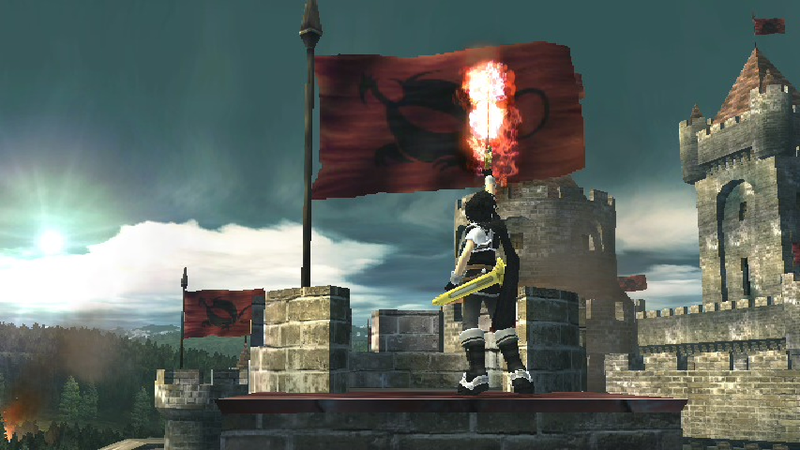 Specifically, it is the one with Lucina having long hair, the Exalted Falchion, and a mask (the model with highest file size). 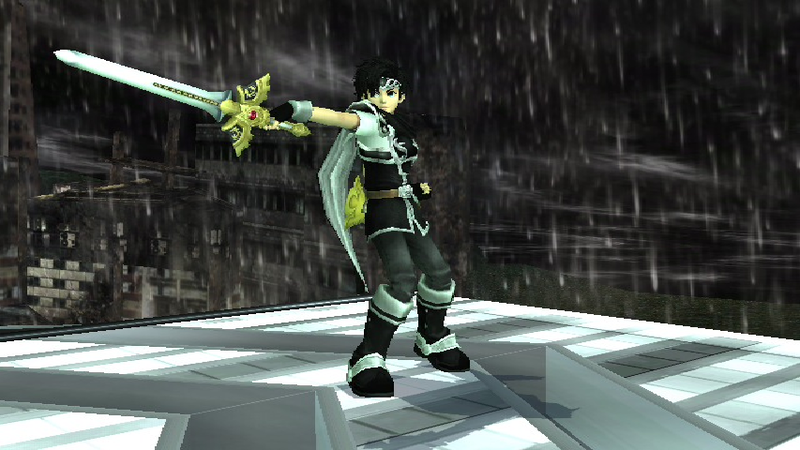 There's a small graphical glitch with her Up and Down Specials where a second blade seems to appear near her feet, but it does not affect gameplay. Hope you all like the PSA! Edit 2: Added a CSP and BP now. Slight Texture edit to his cape. 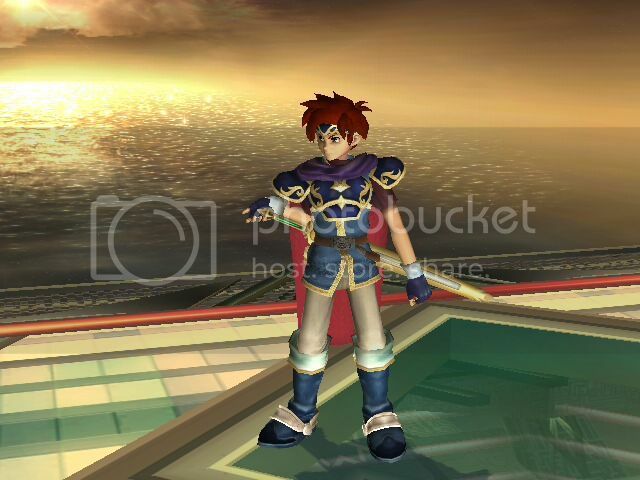 Hello Brawl Vault, I made a new texture for Roy again. I think it looks great in game. Just some simple edits of red, gold and black. Hope you all enjoy! 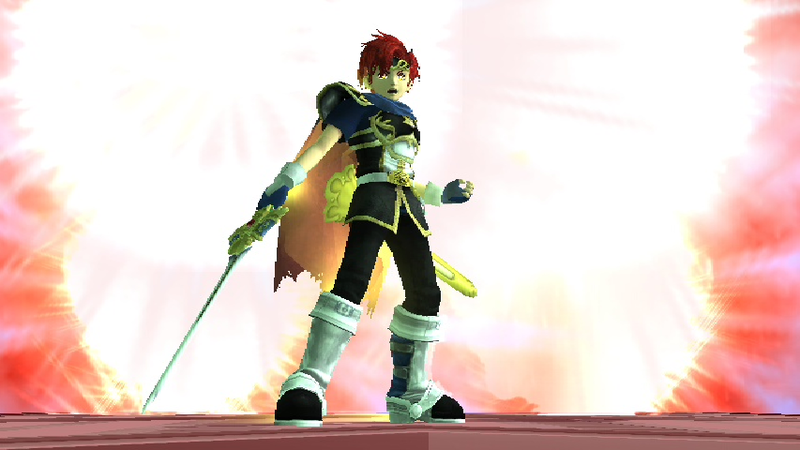 To go along with my previous Red and Gold Roy, I have this new one for the Smash U model. Pretty much the same colors as before... but on a pretty new import, thanks to Jaystring. Brightened up his hair a bit. Comes with the Wii, Dolphin, and Marth versions. Enjoy. 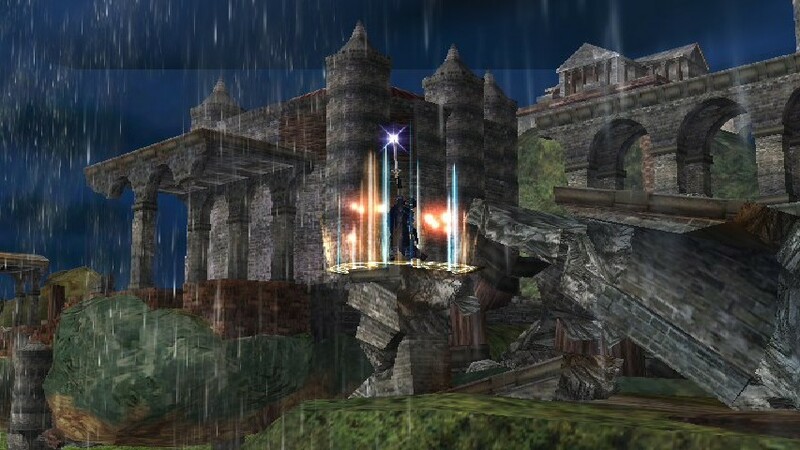 Hey Brawl Vault. 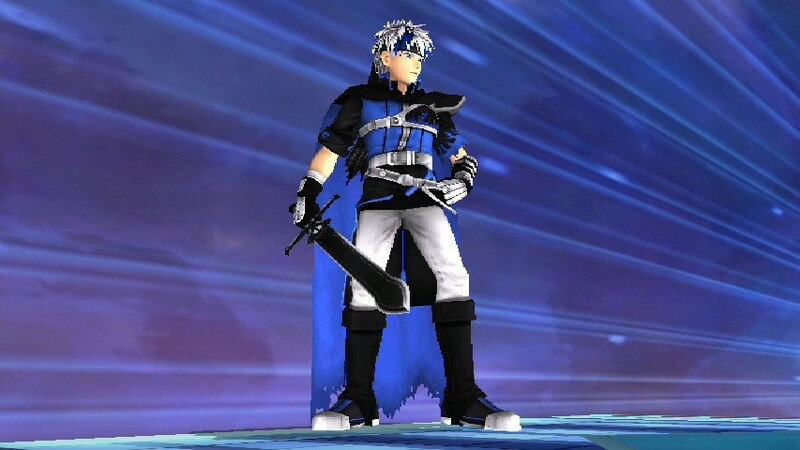 Here's a new texture/vertex edit I did for Ike. I worked really hard on him. Goes perfect for your red costume slot. Comes with CSP and BP. Hey all, back with another texture edit. This time for ShunOne's, SatoshiKura's, and IWantGames' Shadow Dragon Marth. I loved all the work they put into him, and wanted to contribute something to it with my own flair. 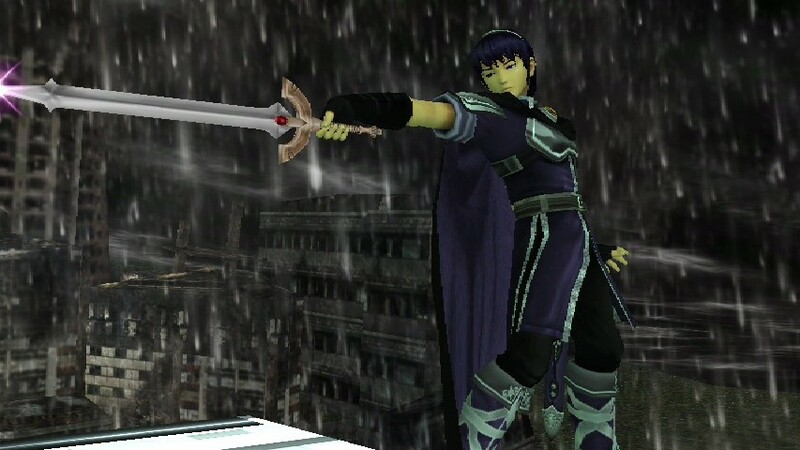 It comes with the Classic Falchion, and FE 12 Falchion, CSP's and a BP. Hope you all like it, enjoy, and happy new year! 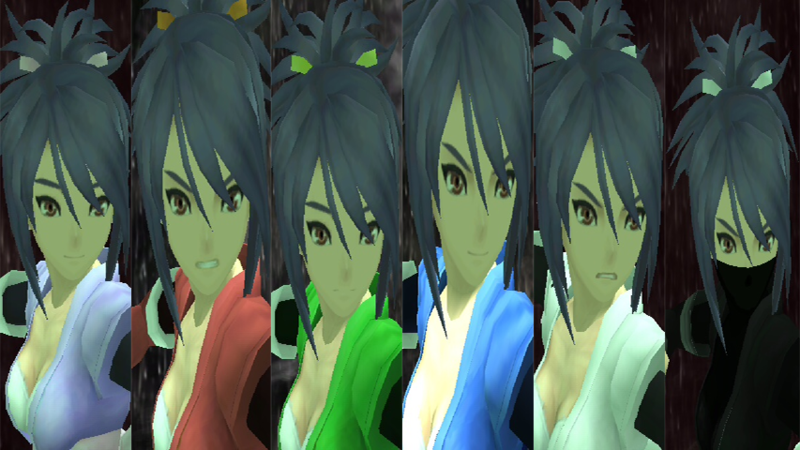 Sheena Fujibayashi Vibrant Recolors by Nao-chan with credit to DevMasters for the model, and Sir Kirby the 4th for the recolors I used as a base. EDIT: Okay I fixed the DL link. Dunno how that happened. Sorry for the inconvenience. Hello Brawl Vault! 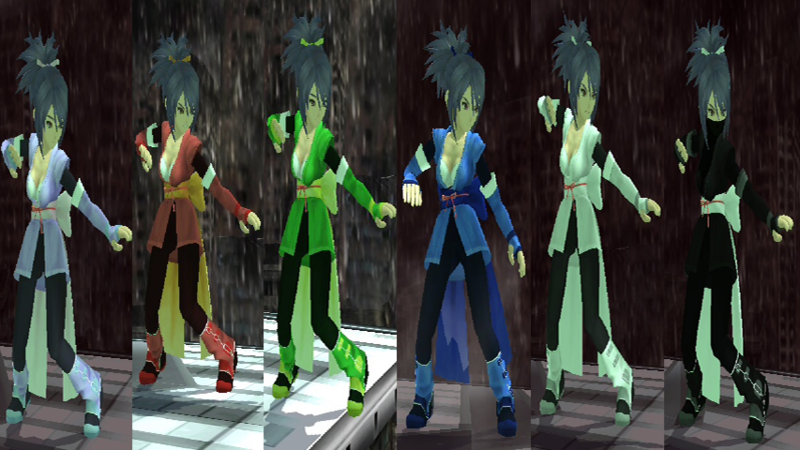 I'm back with a pack of textures this time for one of my favorite characters in Tales of Symphonia 1/ 2 Dawn of a New World. I gave her nice bright new textures with complimenting colors for each recolor. I also added in some new expressions if you want to mix it up a little, since Sheik's work differently from the others. She also has a secondary Black costume with a mask to make her look more like a ninja. Comes with all the needed menu stuff. Hope you all enjoy!